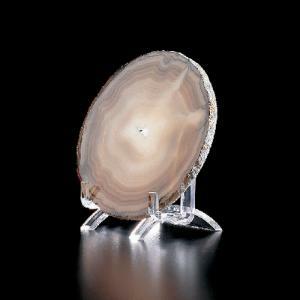 Safely prop up flat specimens such as agate or fossils in a thin matrix. The smaller easel supports slabs up to 1/4" thick, the larger easel easily accommodates thicker slabs and crystal plates. Slab Easel Size: 3"L x 2 1/2"W x 2 1/4"H. Package of four. Thick Slab Easel Size: 2 1/2"L x 2 1/4"W x 2 3/4"H. Package of four.